The best pain relief & healing! Warm, pulsating water increases blood supply to aching joints, which helps to remove inflammatory particles from the area and relieves pain.The hot water also raises the body temperature and enhances your ability to fall asleep. Evening soaks also promote restful, uninterrupted slumber to enhance any healing process.For some post-operative situations and once any wound heals, rehabilitation programs may include hydrotherapy to help patients get back on their feet faster, which when combined with specialized jets that move up and down the spine soothe inflamed tissue and relieve the pain.Hot water stimulates the release of endorphins, naturally occurring chemicals in the brain that relieve pain, improve mood and generate the so-called "runner's high." Hot tubs are also used at many healing spas that provide a 'retreat' and healing process to help patients deal with the emotional burden of their disease. Better insulation and state-of-the-art heating systems are more efficient than a decade ago, helping to keep electrical operating costs to as little as £0.50/day. High-density foam covers prevent evaporation, heat loss and chemical loss, saving time and money spent on maintenance. 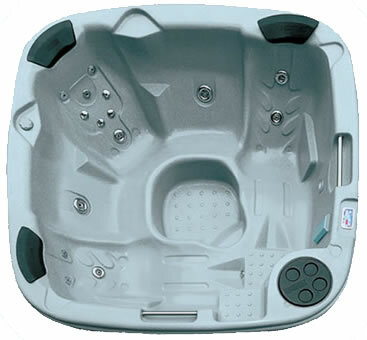 Most hot tubs are computer controlled with built-in flow sensors and thermostats, giving the owner complete control over how often the tub is to be filtered and heated. Some systems also feature an economy mode that heats water to a desired temperature only when the filtration cycles are about to run, cutting down on your electricity. Jetted bathroom tubs may provide hydrotherapy, but they have to be drained after each use. With a hot tub, you can go 3 – 6 months between drainings, which provides tremendous savings on your water bill. To prevent condensation from building up on the foam cover, you can purchase a floating thermal cover, which also provides an extra method of heat retention for increased savings in the long-run. Even the most basic gym memberships costs at least £30/month. Compare that to the £15/month operating cost of an average hot tub and you've got your own aquatic therapy station half the price — and without the commute! Exercising in water is easier on the joints than exercising on land. Many hot tubs are deep enough to stand in, and almost all offer enough room for chair exercises. The warm water in a hot tub decreases muscle tension, which allows greater flexibility. Some hot tubs can also be equipped with with rowing machines and/or cycling devices that allow for exhilarating aerobic workouts. Slide into the warm, soothing waters after working out at the gym or running your marathon will provide an excellent way for your muscles to relax. Swimming laps is easy when done in a spa with a swim current, otherwise known as a SwimSpa. Some SwimSpa models, even have separate jetted sections for relaxing, giving users a chance to exercise and soak without leaving the hot tub. Turn on the hot tub's fibre-optic or LED lighting and fountains, and your hot tub becomes a centerpiece for garden parties. Even if no one gets wet, its handsome appearance and soothing sounds become the center of attention. Add a gazebo, bar surround,chairs, tables and a barbecue and turn your hot tub into the spot for entertaining friends. When the snow starts falling, hot tub owners like to head outdoors to experience the unique hot and cold sensation of letting icy snowflakes hit their skin, while relaxing in the hot, bubbly water. Then, enjoy the scent of cherry blossoms, lavender or spring rain – you name it – while soaking in your hot tub. Aromatherapy enhances the spa experience by adding an olfactory dimension. While some hot tub owners choose to take their unit with them when they move, others find that it adds to their existing home's value, especially if landscaping or other amenities enhance the backyard as well. Amazing family time & parties! Flip open the hot tub cover, start the jets, and watch how everyone gets up from their computer, hangs up their cell phone and heads out for a soak.Like a magnet, a hot tub draws friends and offers opportunities to get to know someone better. Invite your guests for a light meal, and then offer an impromptu soak.Whether it's a birthday bash or a holiday get-together, spending some time in a hot tub adds a special twist to a traditional celebration. Many hot tub owners find it an ideal place to let youngsters become accustomed to the water, as long as an adult remains within arm's reach at all times. Great Christmas & birthday present ideas! You'll never be stuck with having ideas for buying presents for someone who owns a hot tub! Hottubsuk's range of hot tub accessories is an array of useful and desirable 'must have' items for every hot tub owner.for some other inspiration!